It's your lucky day! Price adjustment. 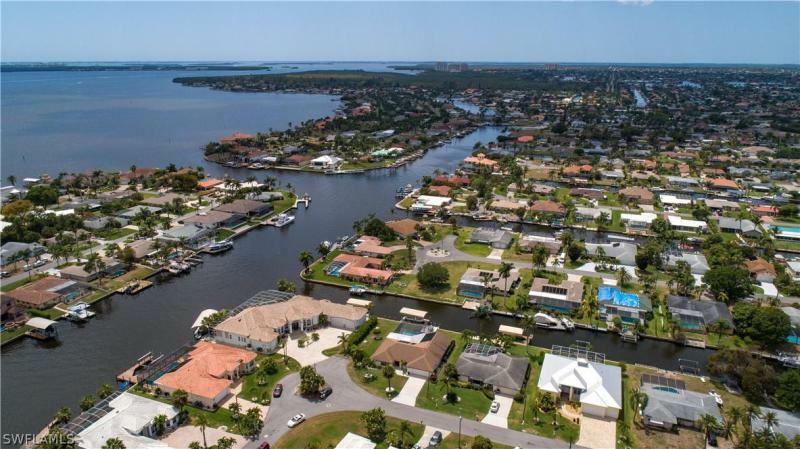 Elegance and luxury- you will be dazzled by this gorgeous southwest exposure gulf access 4 bedroom 2 bath pool home on a cul-de-sac with a tranquil basin view from the sun deck. Tastefully decorated interior. The spectacular master suite features an enormous walk in shower (must see! ), whirlpool tub, separate granite top sinks and his-and-hers walk-in closets. Kitchen equipped with granite counter tops, stainless steel appliances, breakfast bar and adjoining is a formal dining room. Lovely spacious guestrooms invite your guests to relax. Pool bath with double sinks goes out to the covered lanai ready for outdoor enjoyment and entertaining. Just a few special features: 2015, new metal roof (hurricane rated up to 180 mph), new gci hurricane rated windows and doors, big view pool screen. Hurricane rated garage door. In 2016: new dock with two lifts (one covered), large tiki hut and captain's walk. New a/c 2017, also 2017 new travertine tile on lanai. 2018 new pool pump with remote internet access. 2018 new dishwasher. All this for your peace of mind. All assessments paid. Also a successful seasonal rental for your investor. 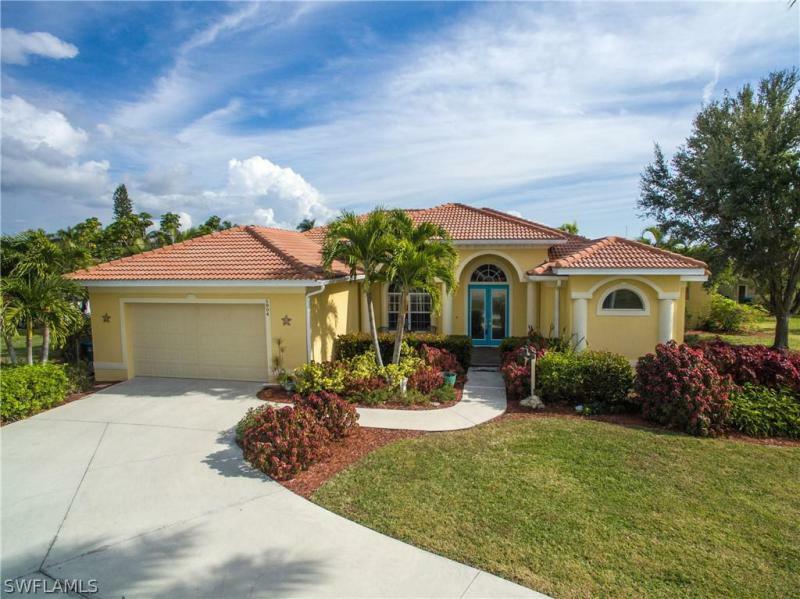 5 bedrooms plus a den, one of a kind, all assessments paid direct sailboat access two story home! 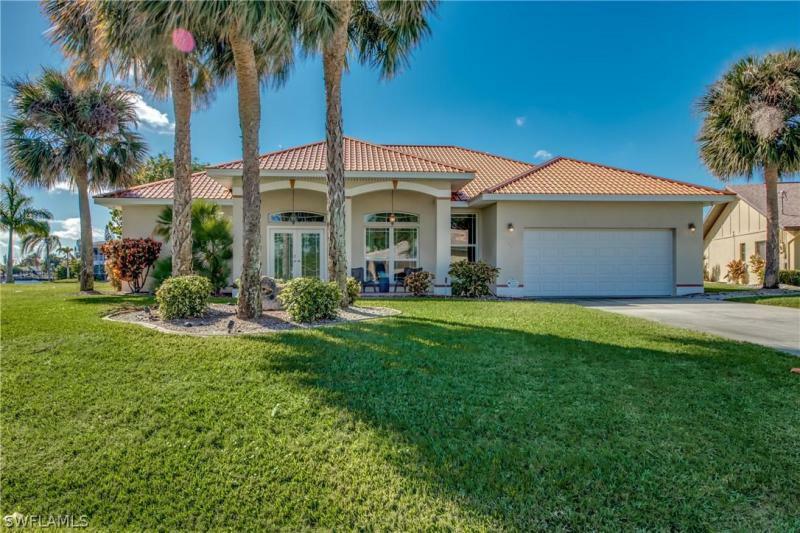 Home features an impressive entry, beautifully upgraded kitchen with granite and stainless steel appliances, private theater with stone fireplace, outdoor kitchen and lots of living space. 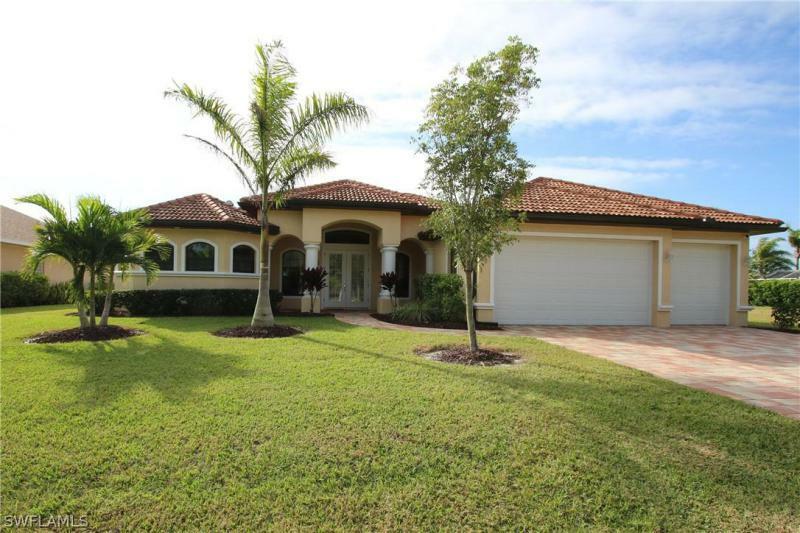 Enjoy a true florida lifestyle - relaxing inside or outdoors while enjoying the pool, outdoor kitchen or watching the sunset from the second floor balcony. 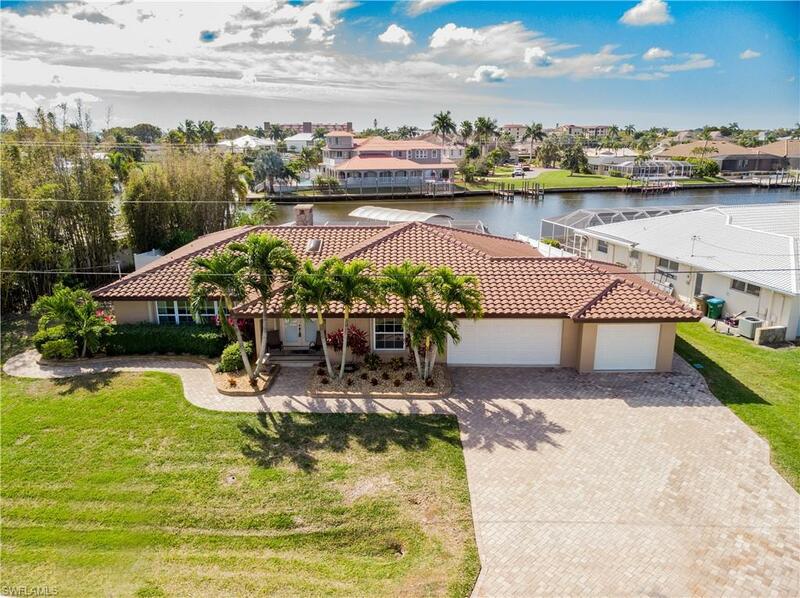 Completely updated/upgraded from floor to ceiling - including completely remodeled salt water pool w/pebble tec, tiles, waterfall, new salt system and pump, new travertine patio & lanai, outdoor pool bathroom, outdoor shower, 3 zone a. C system (2 are new 2017 & 2018), custom tile flooring, stadium seating in the theater room, hand crafted interior sliding barn doors, huge entry/foyer, granite counter-tops throughout, tile back-splash, stainless steel appliances and brand new carpet in the bedrooms. New sod & irrigation(2018), new fence(2018), re-stuccoed(2017-after hurricane), remodeled kitchen & bathrooms, washer & dryer upstairs - and stack-able washer & dryer downstairs. New sofit gutters and fascia (2018). Possible assumption of va loan.